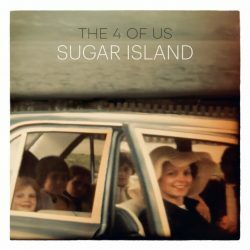 The album cover does a tidy job of setting the scene for its themes: smiling mum in a floppy hat, car door open, four, maybe five kids squashed in the back, off on holiday in those Seventies days of laxer passenger restrictions and fewer collision avoidance systems. It most obviously relates to Going South, the second of 12 tracks on the veteran Northern Irish outfit’s latest long player, with its bored narrator killing time in the back of the motor “winding down a window so I don’t catch a share of cigarette smoke hanging in the air”. It’s beautifully observed and immediately resonant to anyone over 40. However, when you realise he is waiting in a line of cars at a military checkpoint the moment becomes impossibly alien for those born elsewhere in the British Isles but, you imagine, a regular occurrence for the Murphy brothers, Brendan and Declan, growing up in Newry, near the Irish border, during the Troubles. Such vignettes from their childhood form the bulk of these gentle songs, particularly the two that bookend the record: Bird’s Eye View – “just a stone’s throw from my home to the danger zone” – and Hometown on the Border. It’s hard to think of music where form and content diverge so markedly. There are tough times here – and, yes, joy and nostalgia too – but, while you’d hope the Murphys would have also longed for an Alternative Ulster, Stiff Little Fingers they ain’t. They’re not even U2. Instead their soul-inflected Irish folk seeps into your consciousness with understated melodies as sweet as the title cushioning the lyrical blows, brushed, barely-there percussion, and little flourishes and additions – lilting lead guitar lines on ’73, the jaunty swing to Just A Drop and Hell To Pay’s darker hue, perhaps the standout on a record that sometimes performs a tricky high-wire act to avoid being too saccharine. Much to savour then but anyone looking for more muscular music will need to widen their search.